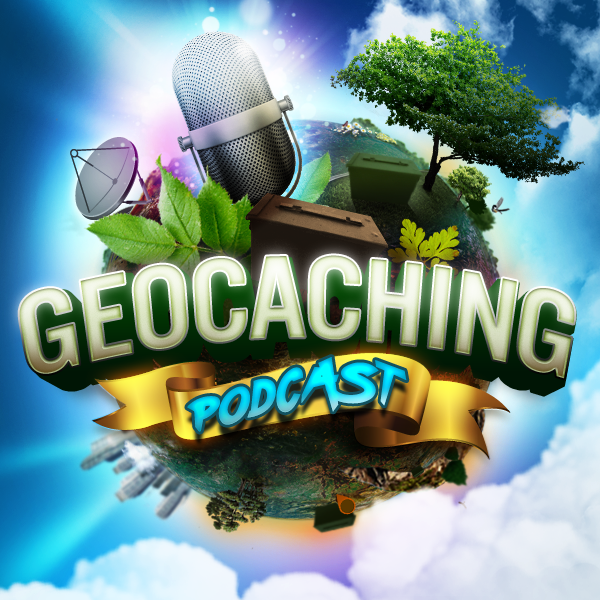 Guest Hosts CloakNDagger and Memfis Mafia join the show to help discuss geocaching with Kids and Family. The final new country souvenir of 2016 is … Romania! Romania is home to Transylvania, a forested area stretching from the Carpathian mountains in the east to the Apuseni mountains in the west. It’s also famous for its impressive churches and castles. While visiting Romania, your geocaching adventures may even lead you to Dracula’s Castle, also home to Romania’s very first geocache. Learn more about geocaching in Romania and the other new country souvenirs on the Geocaching Blog. Romania joins Russia, Puerto Rico, China, and Singapore as the latest geocaching country souvenirs. If you’ve found any geocaches in these countries in the past, these souvenirs have been awarded to your profile. Happy holidays and safe travels! Being prepared – First Aid, Food, Water, Extra Swag, letting go trackables,etc. Given that my family doesn’t like to geocache, at least not very much. I find taking them to interesting Virtuals and Earthcaches are the best bet. As long as it doesn’t involve spending time actually looking for a container they are up for it. Try to find cache types to suit the company I am keeping that day! If I’m with my parents, it needs to be an interesting location (views or historic), or a more gentle walk. Numbers runs and Park & Grabs are best avoided. Both groups find the journey much more interesting than the prospect of hunting for lots of boxes, which spoils the journey for them. Or if we’re heading out to do something like an orienteering event, I drop them where they need to be, and return at an agreed time, having collected some of the caches around the area. Cache trips disguised as ‘driving practice’ for my eldest worked for a while, but he has his licence now. With younger kids, (especially those who aren’t regular cachers) I’d look at finding caches in nice areas with loads of Favourite points, and (more importantly) have been found recently. The last thing you want is to have a string of DNF’s! Caches based around museum exhibits are also good for kids on a rainy day – they can help you spot the information, and you can come back to the final later. Geocaching is an anytime anywhere sport, rather we have time for just a quick PnG or a weekend adventure it really just depends on the moods and our current state of readiness?? What I mean by that is I evaluate if Burgundy and Kayla Dressed for a walk in the woods, or willing to sit in the car for a PnG. Do we have our gear, and the mental state of the day. Sometimes our days get long and hard and the thought of geocaching feels exhausting while other days it can be quite exciting. I am typically the one that can go 24/7 so it’s more what they are in the mood for. Remember to let your family find the geocache. You may have 100’s or even 1000s of finds under your belt, but the rest of your family does not. You may have perfected your geocaching skills with razor sharp accuracy and can spot the geocaching miles away. That is awesome, but let your family make the find. Part of the “hook” for geocaching is being the one to make the find. If the search goes a little long that’s okay, remember you’re bringing your family out to make memories, guide them in ground zero, but let them make the find, they will get a great amount of joy out of it even if you spot the geocache first. Make it fun, if you are only going for PnG’s kids may bore of it quickly, make sure to find caches that are big enough to hold good swag. Look for caches with a ton of favorite points. These caches tend have a reason for high FP, rather it’s a great gadget, something unique to experience or just a great view. Inspire your family with inspiring geocaches. It’s important to make it adventure, doing “just for the numbers” type of caches can begin to feel mundane if that is all you do. Find geocaches near places to rest and play like parks and playgrounds. Pack a picnic lunch, bring the fun and make it more about the family then the Geocaching. You’re bringing your family out to make memories, no matter what vehicle you use to create those memories make it a fun one, know the limits of your spouse and children and respect them. If you do that, the family will be more willing to go next time. Get involved with other geocaching families. One of the things that are great about events is that you get in touch with other families and eventually have that potential be become family friends. Going out Geocaching with other Families makes for an enjoyable adventure as it becomes a play date for the kiddos as well as time to develop relationships with other adults. I’ve found that each of my girls has a different preference when it comes to geocaching. My older one is not really interested unless there is a tree climb involved or if we are on vacation. The younger likes SWAG and quick and easy smileys. Find what the little ones like and seek those out. Don’t go for too long. Mine have a definite point when they are “done”.